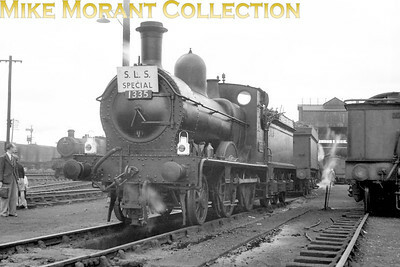 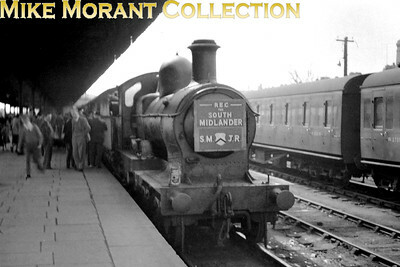 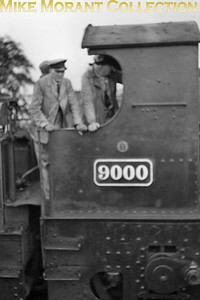 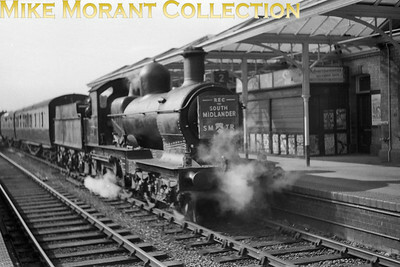 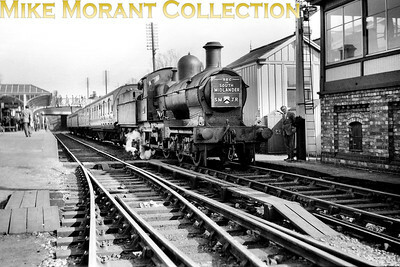 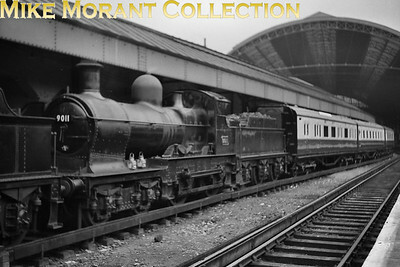 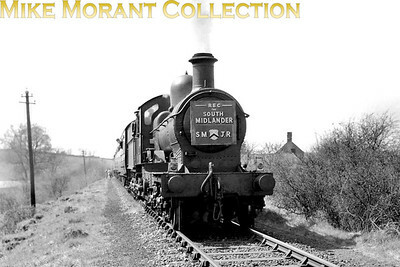 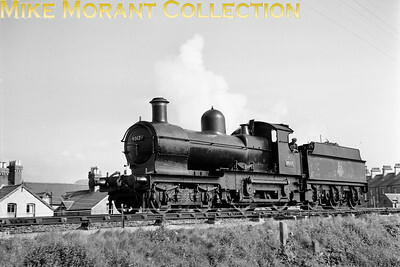 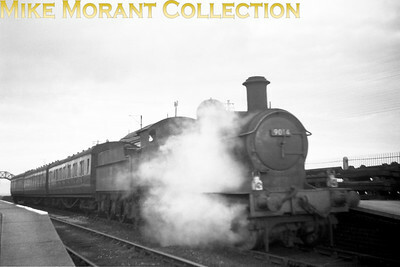 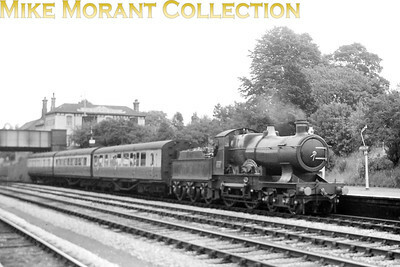 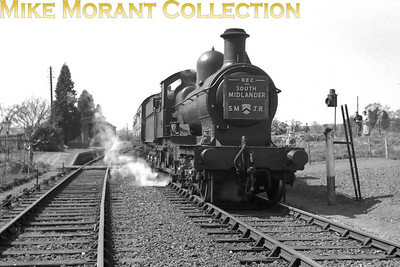 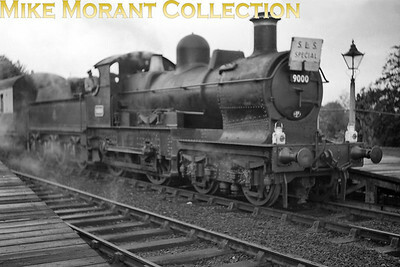 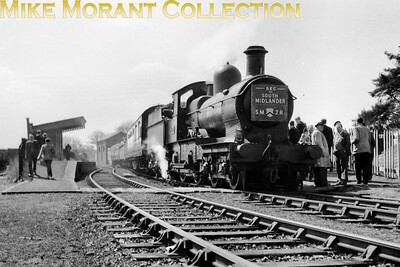 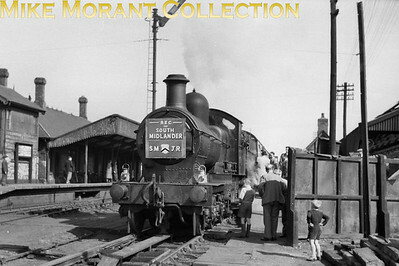 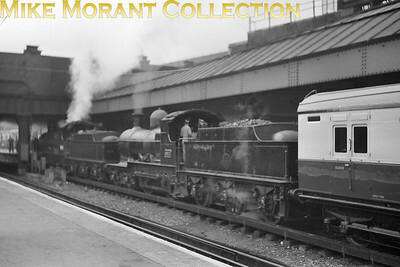 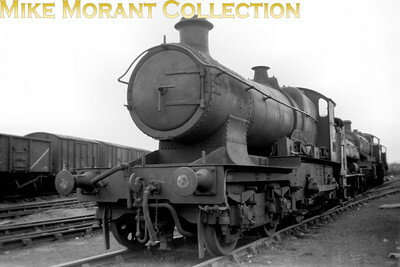 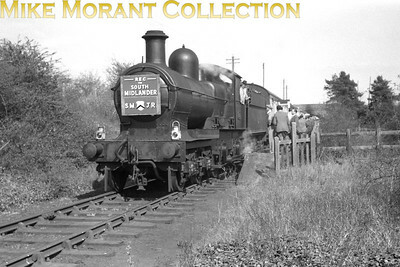 GWR Dean designed Bulldog class 4-4-0 no. 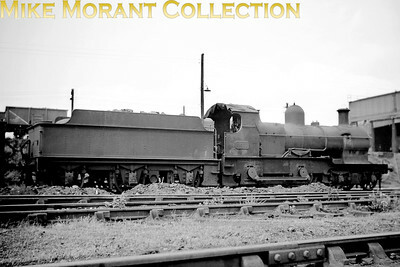 3447 Jackdaw at Swindon on 6/5/51 which was the month after withdrawal at 85A Worcester. 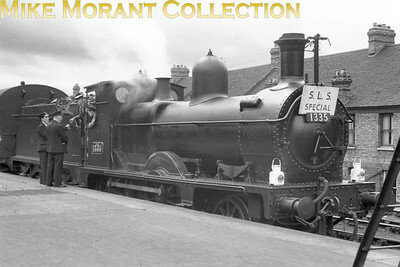 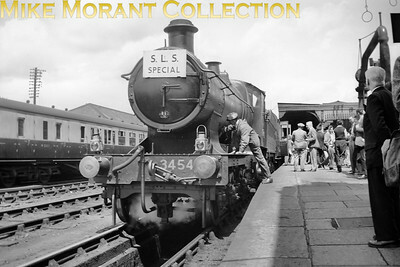 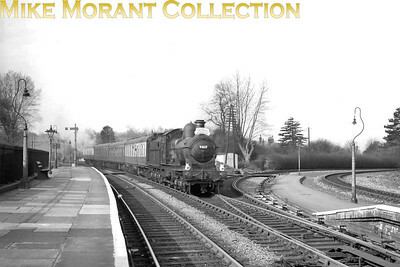 Immediately behind 3447 is 0-6-0ST no. 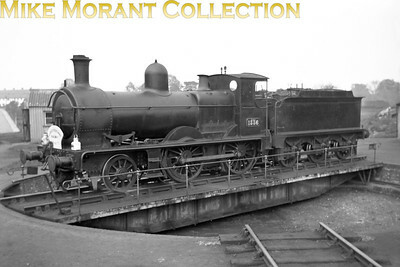 1925 which is featured elsewhere in this collection.